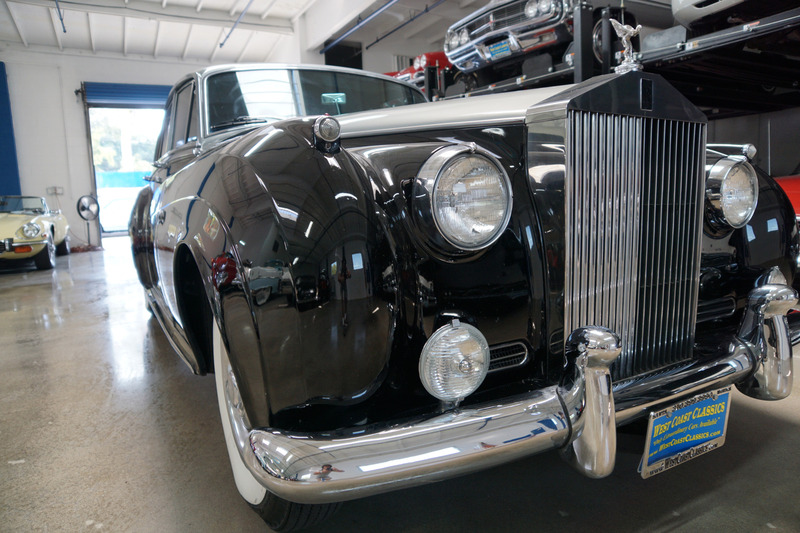 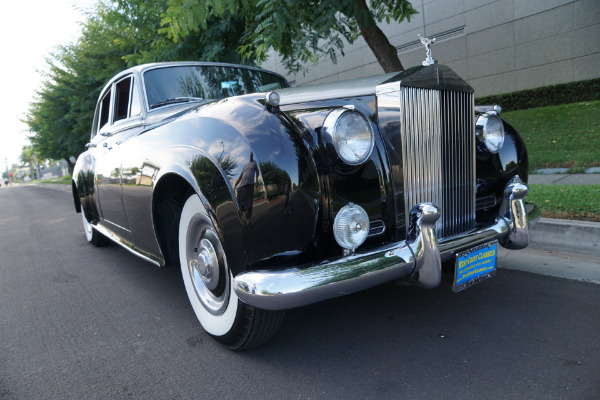 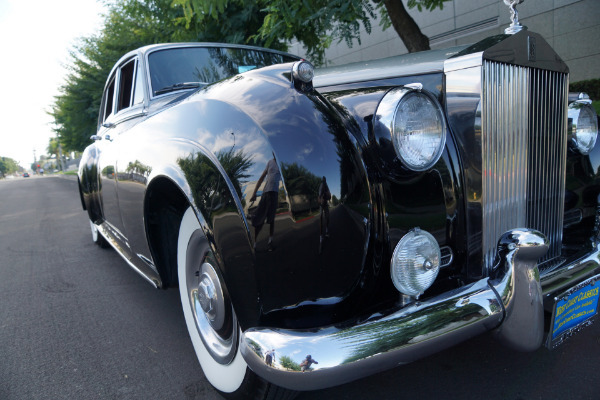 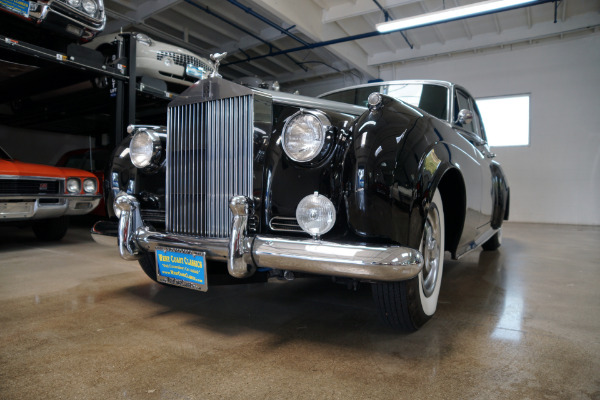 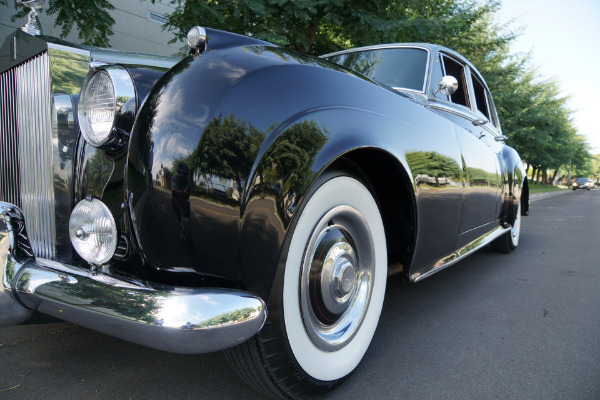 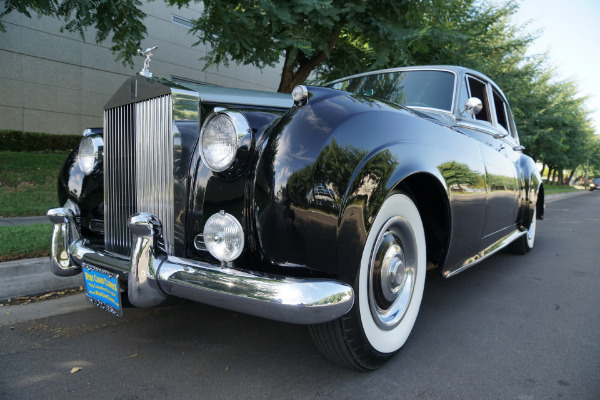 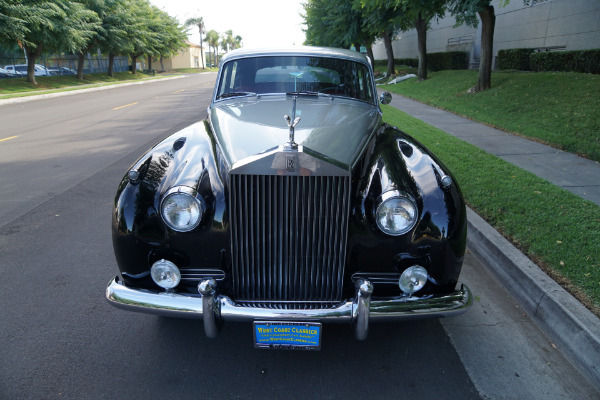 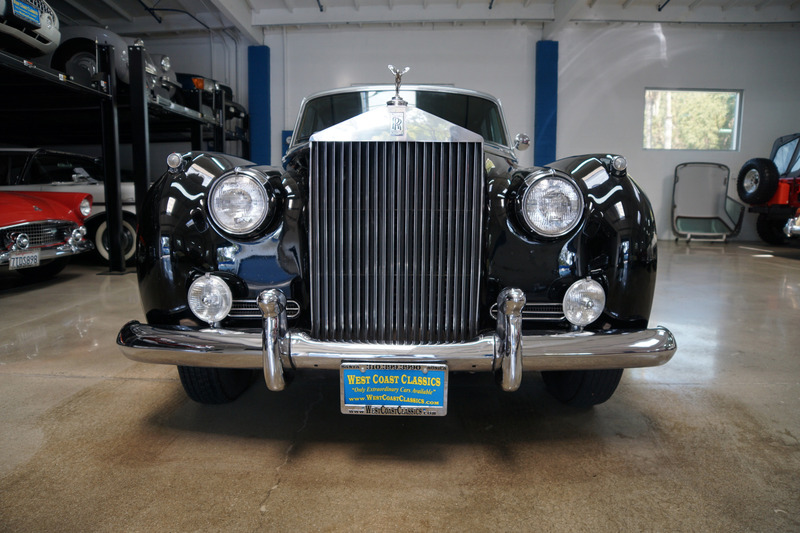 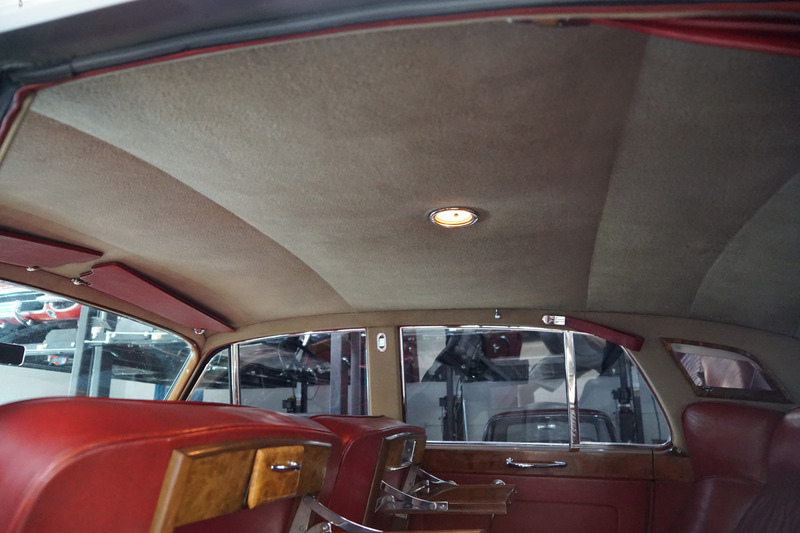 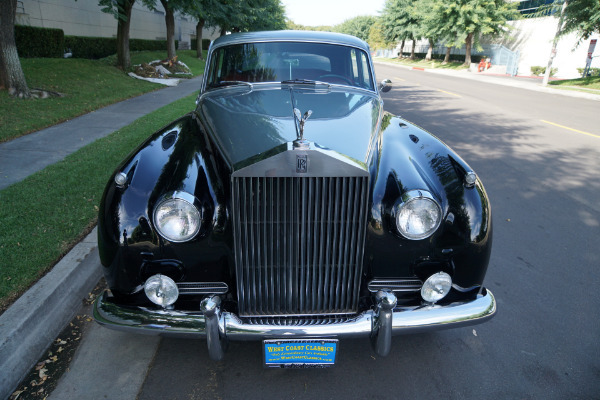 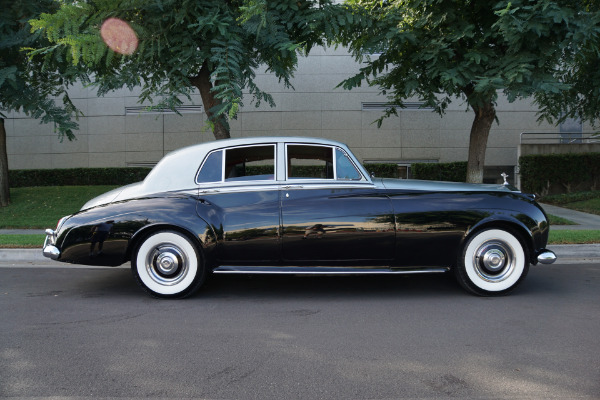 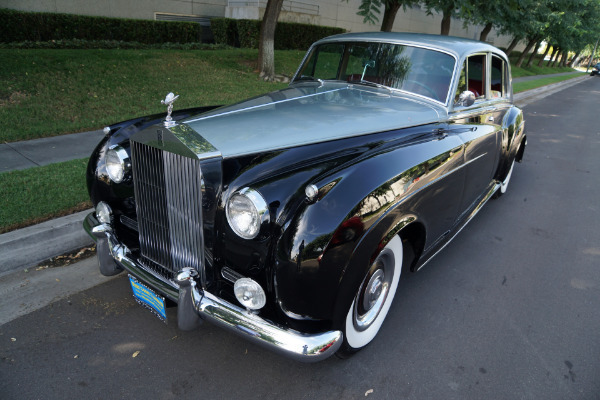 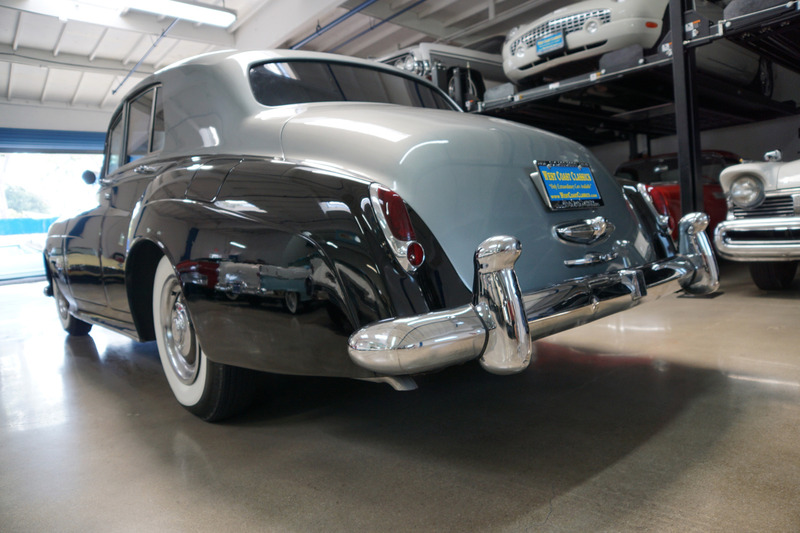 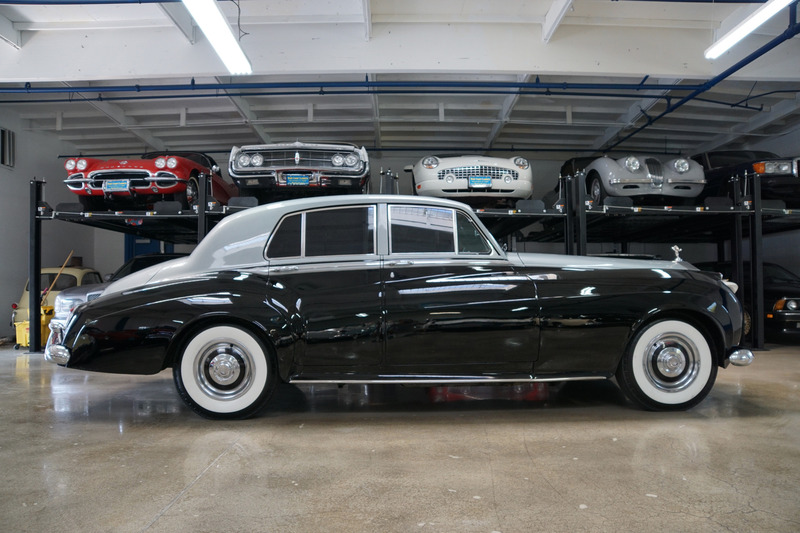 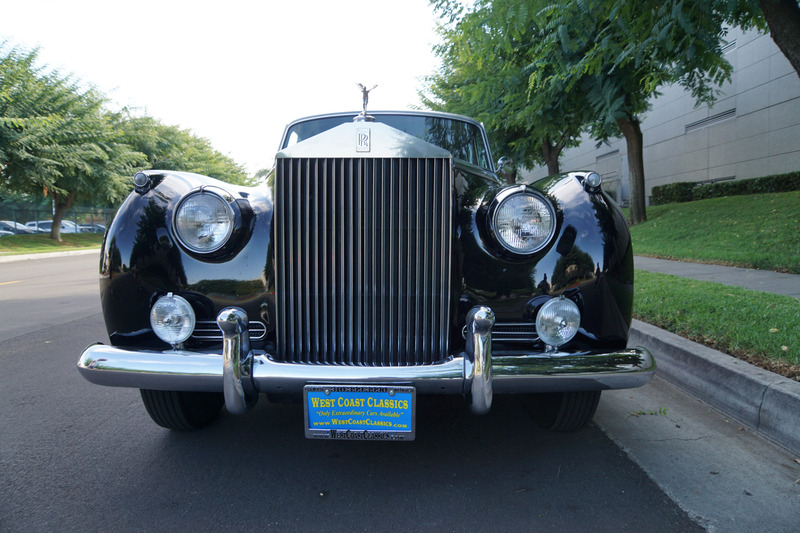 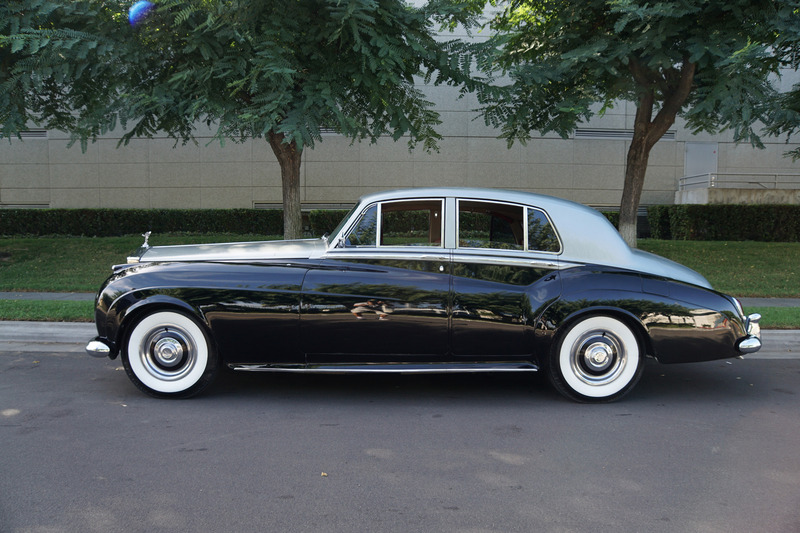 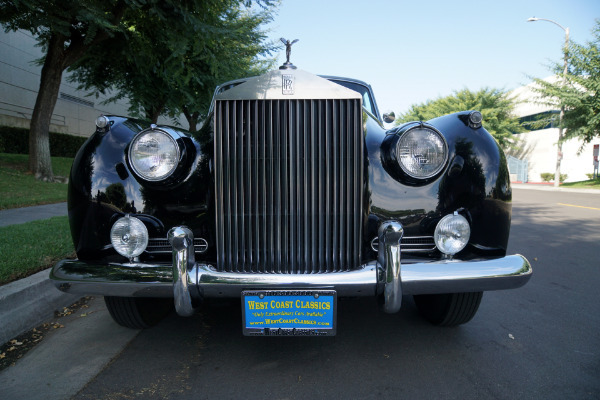 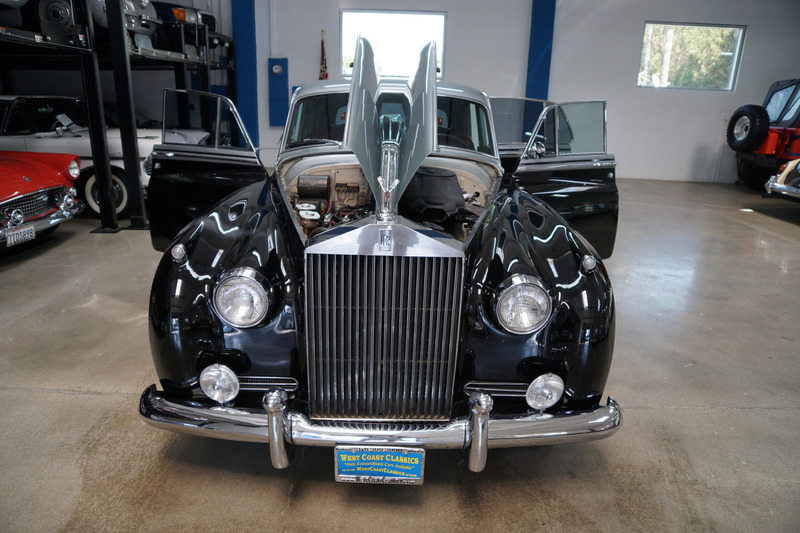 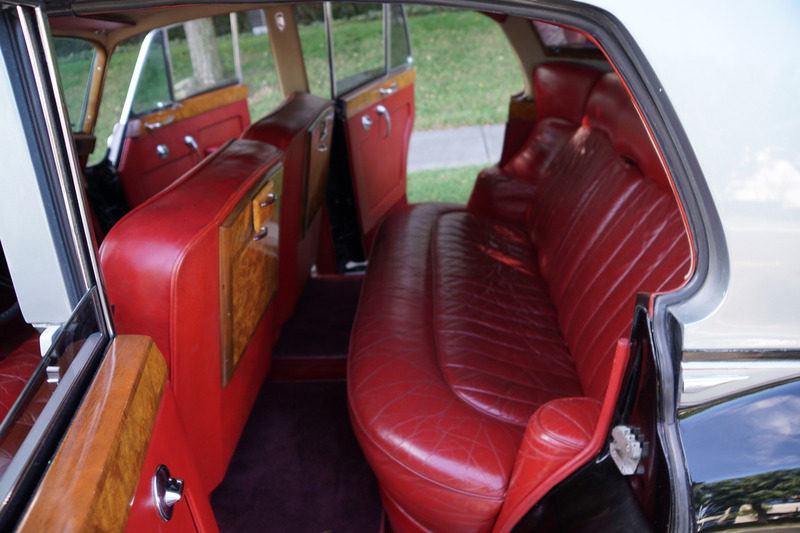 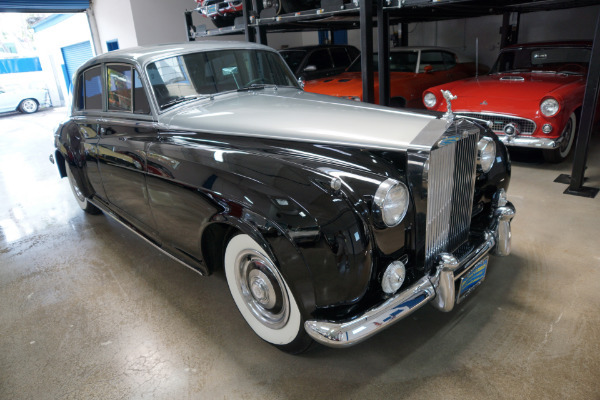 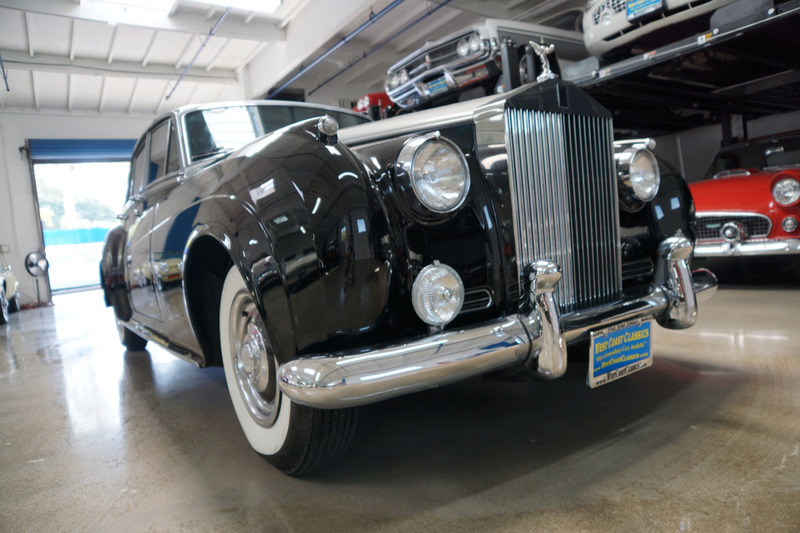 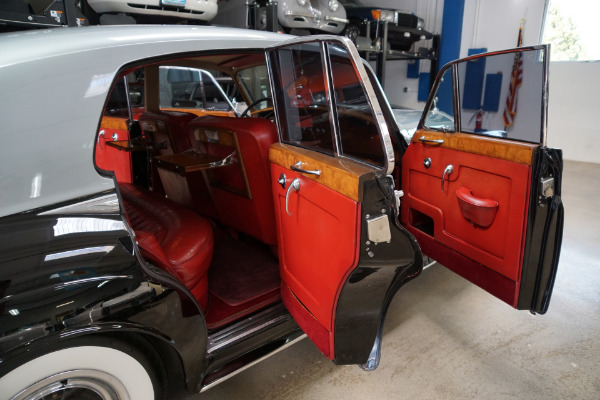 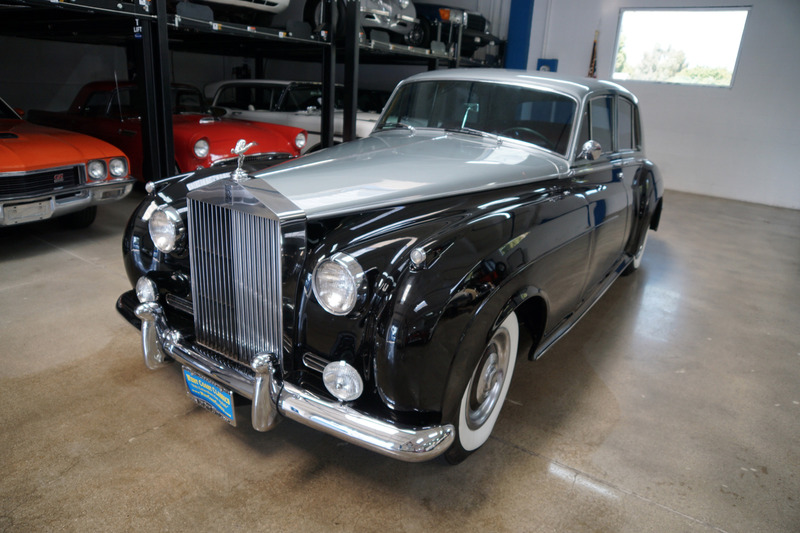 West Coast Classics are proud to present an absolutely exceptional and rare example of this 1960 Rolls Royce Silver Cloud II V8 4 door saloon, with an even rarer Left Hand Drive (LHD) US import configuration body with only 2,417 of these hand built cars ever built and with only very few remaining! This particular example is finished in its striking original 'Shell Gray over Masons Black' factory color paint with 'Red' Connolly hides showing superb patina and obvious careful maintenance and care from its long time owner. 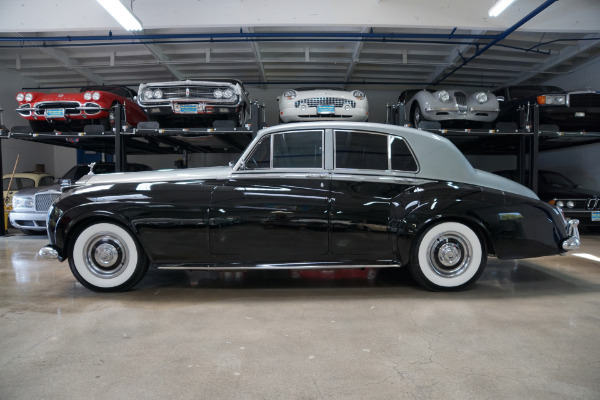 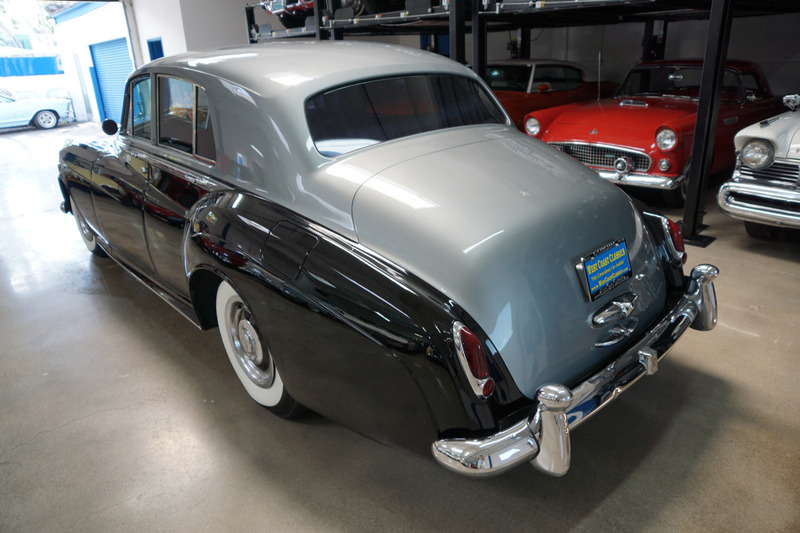 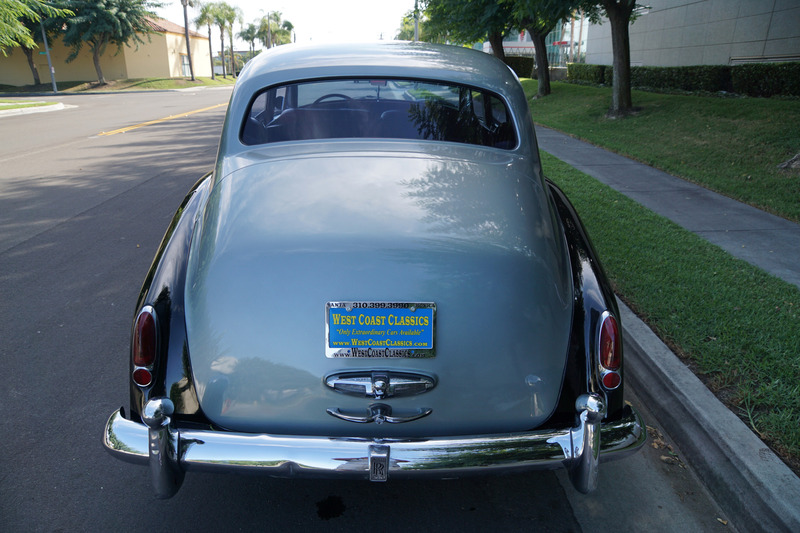 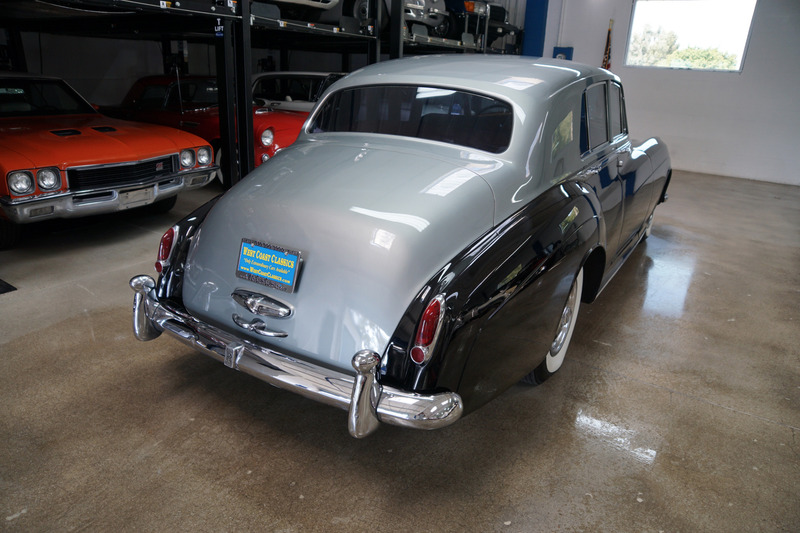 For those who are unfamiliar, the Bentley S2 and the Silver Cloud II were absolutely identical, with both vehicles hand built at the Rolls Royce factory in Crewe, England, with the only differences being their nameplates, radiator and mascots. 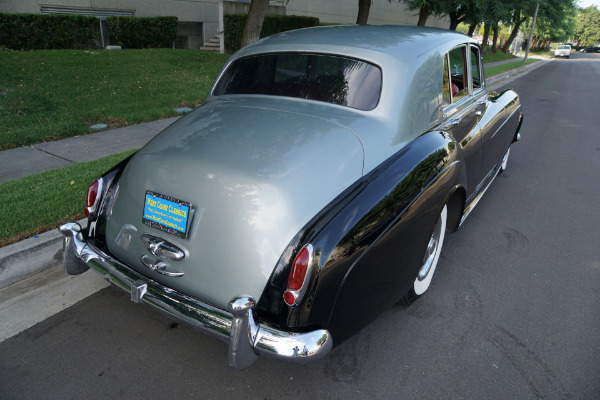 The Silver Cloud II was introduced in 1959 and lasted until 1962. 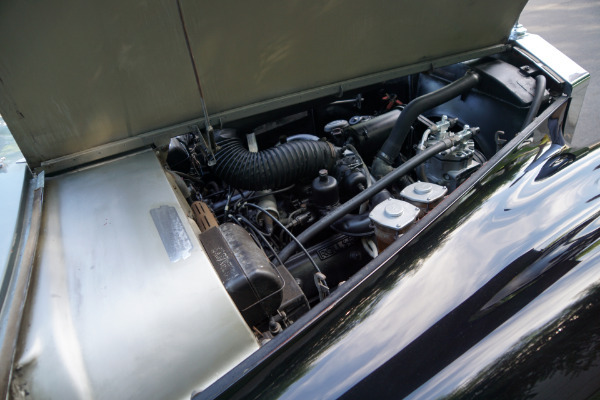 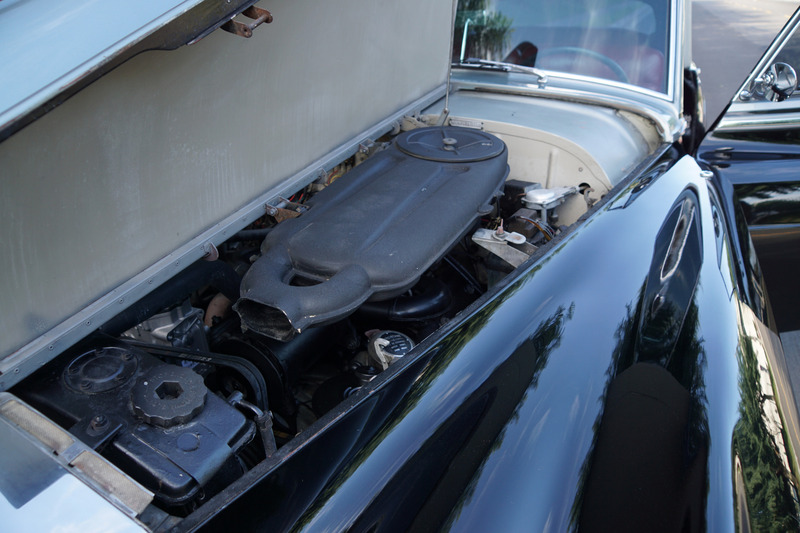 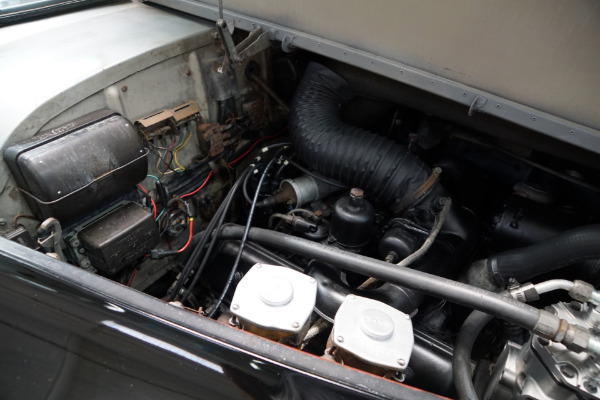 Little changed externally from the Silver Cloud I of of 1956-59 but it now had a much improved 6.2 L V8 engine, which pushed the weight to 2.11 tonnes. 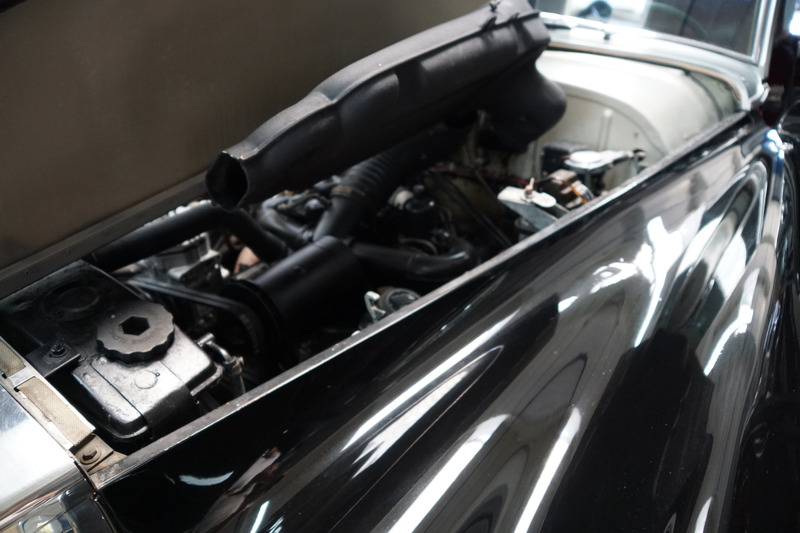 Performance was greatly improved and top speed was raised to 183 km/h (114 mph) yet the main improvements were in acceleration and torque. 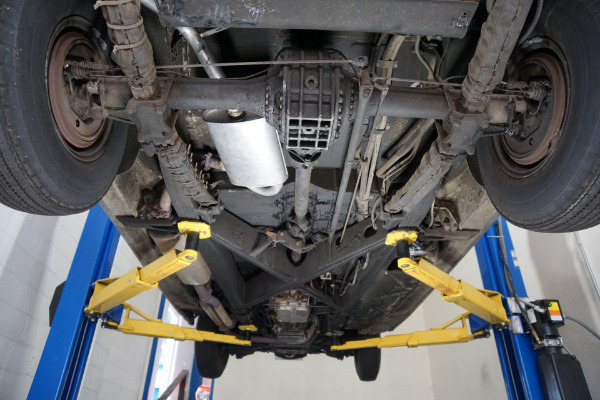 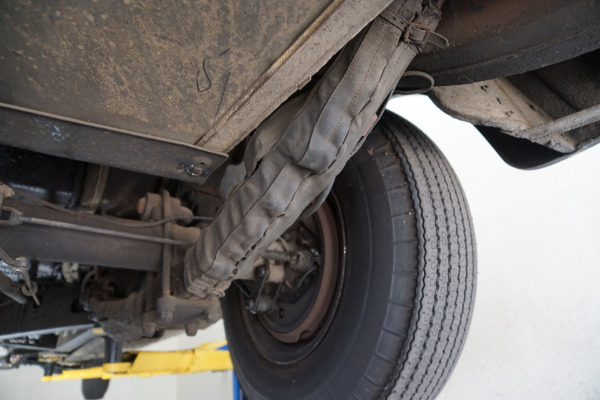 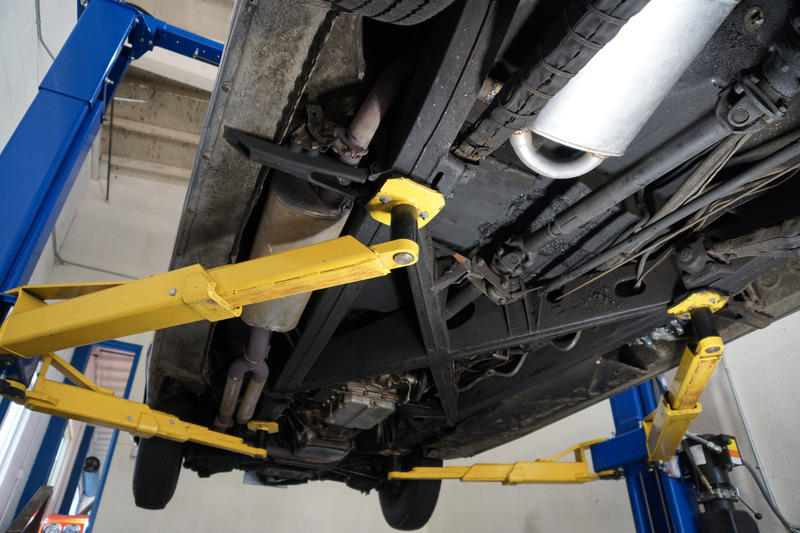 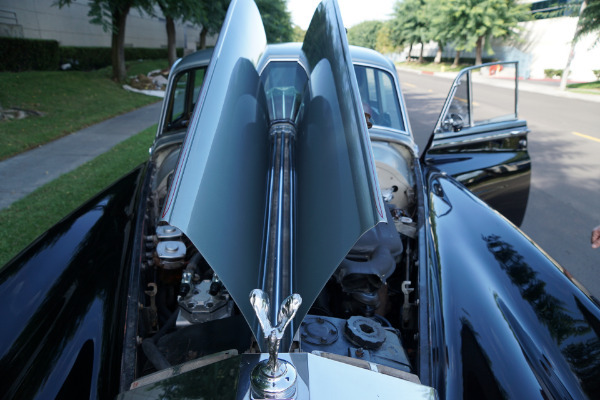 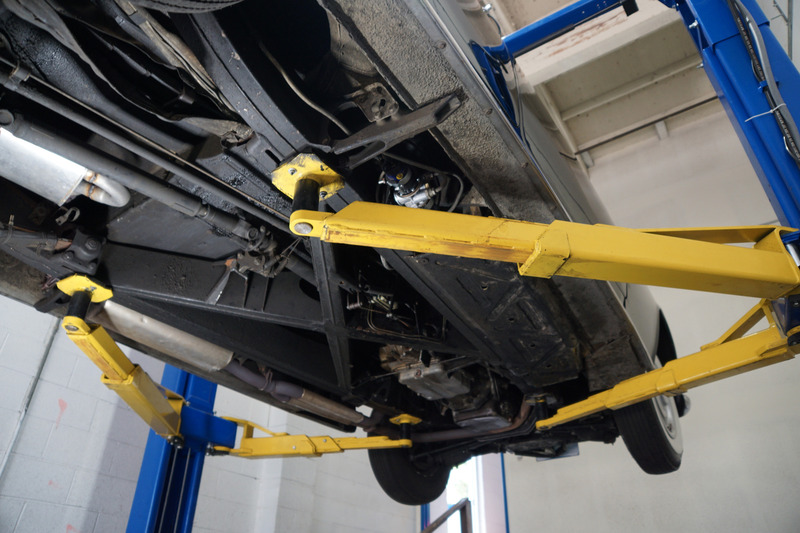 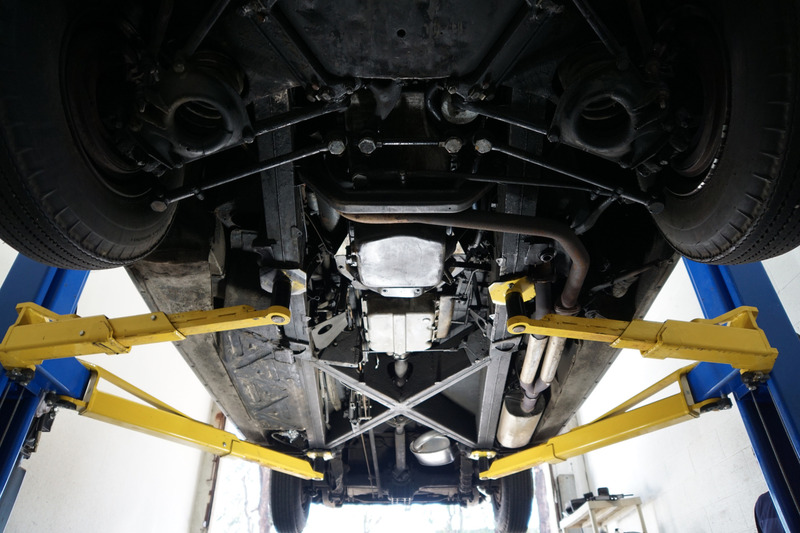 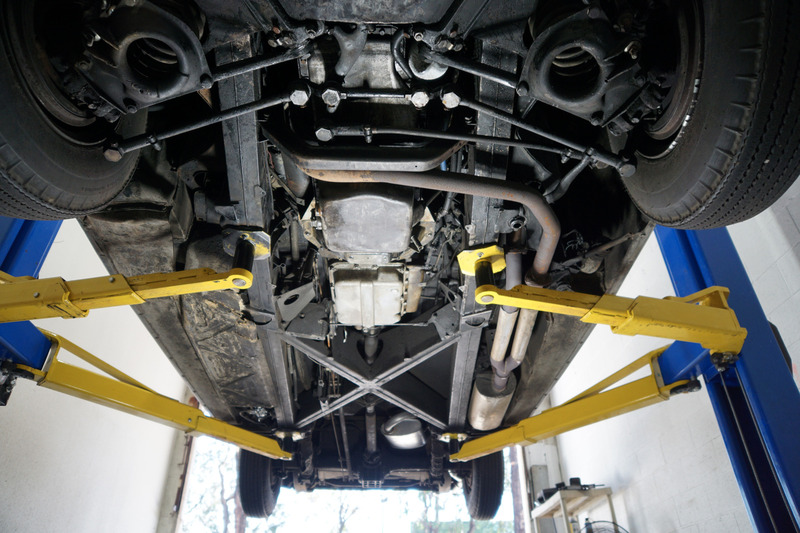 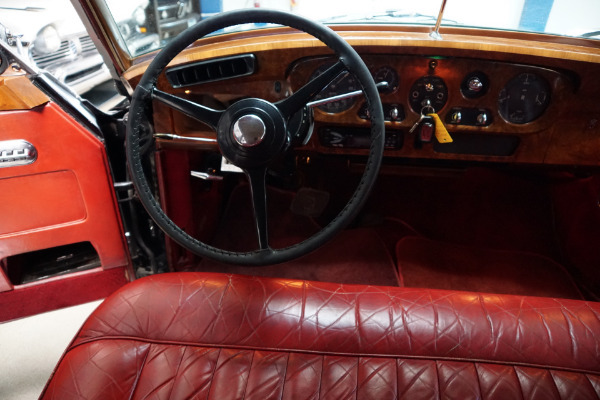 Power steering became standard. 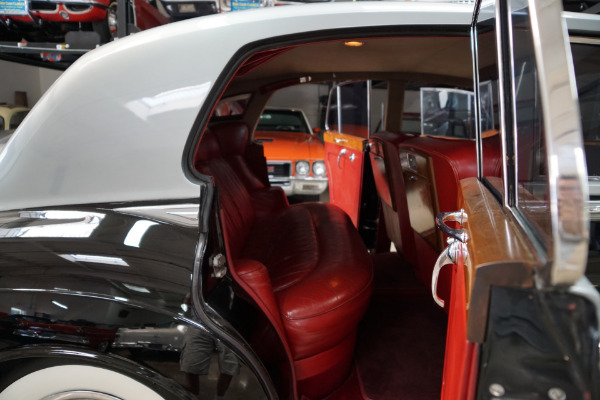 Electrically operated windows were now available as an option which this particular example has as well as air conditioning and tinted glass! 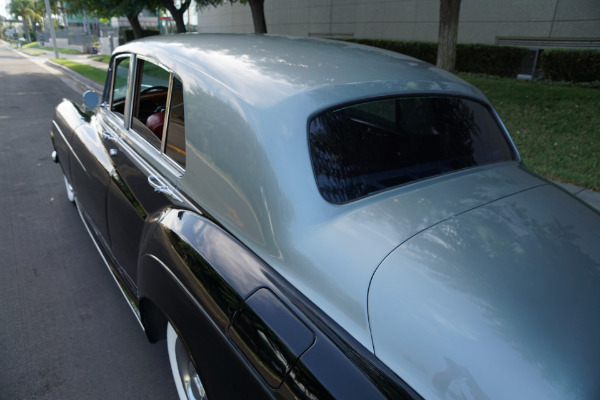 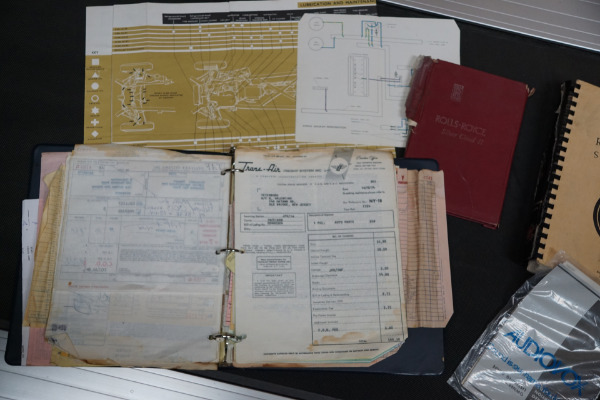 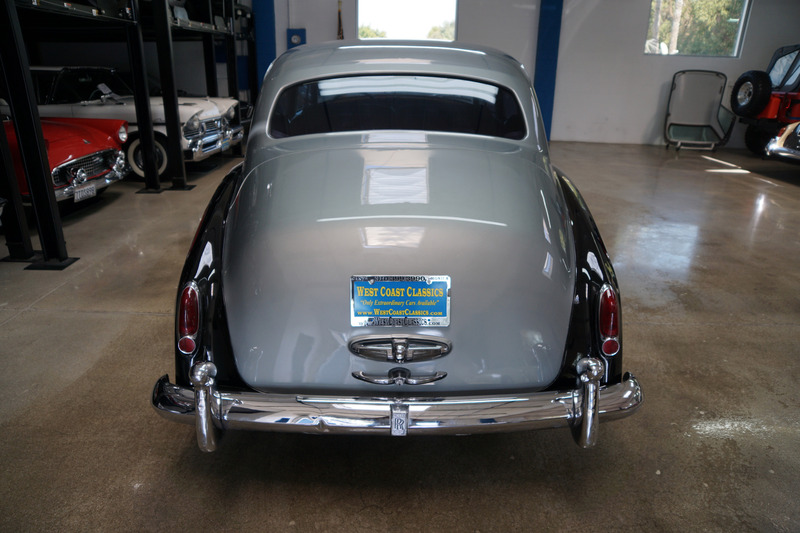 The car also boasts its original owners handbook, spare wheel and tire and electric inspection lamp and charging plug, pressure gauge and tire pump! 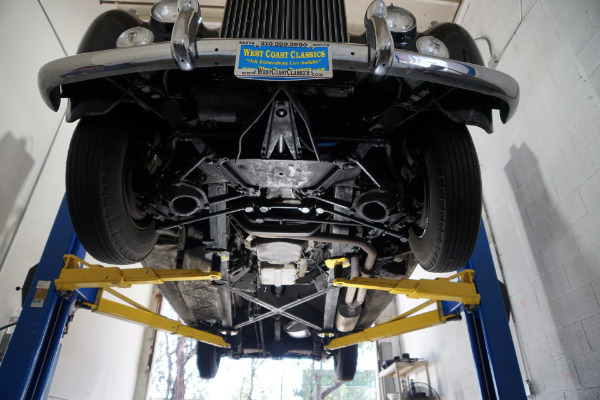 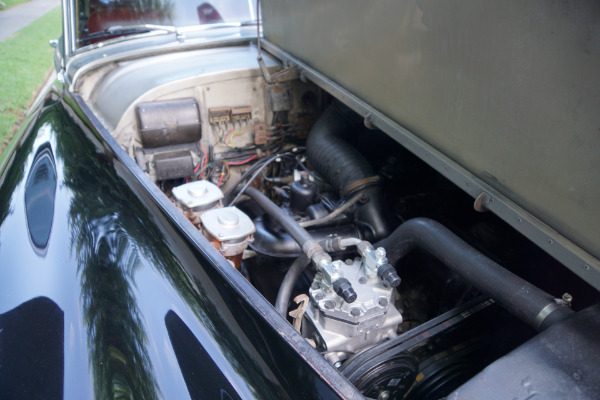 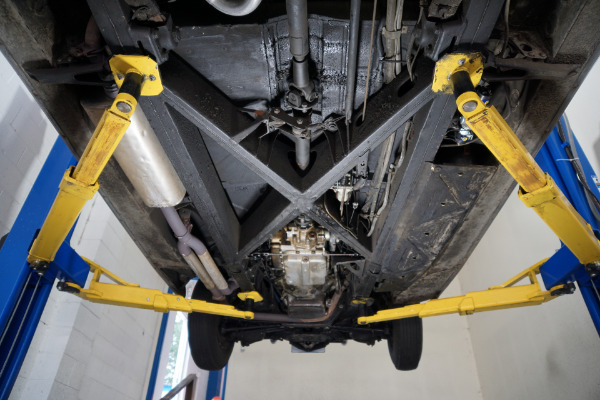 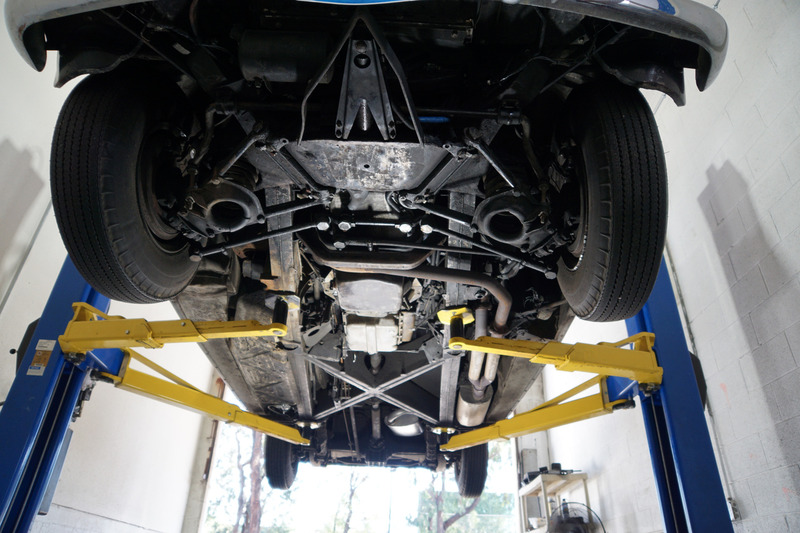 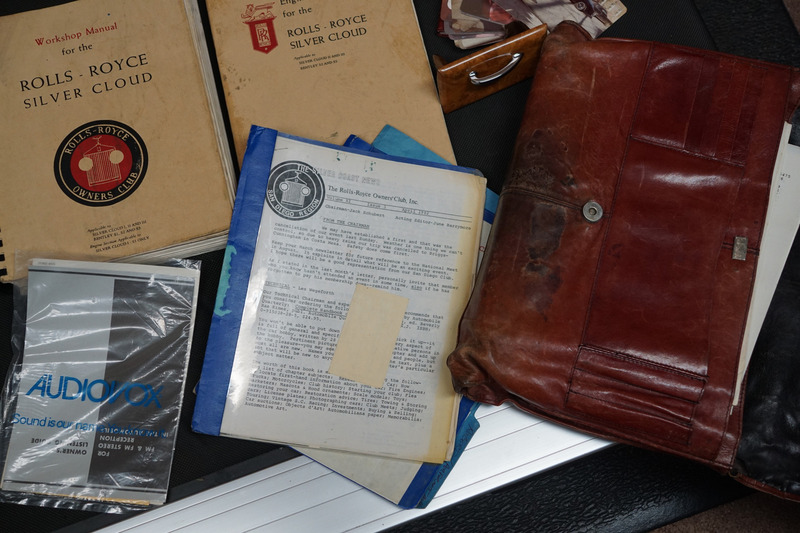 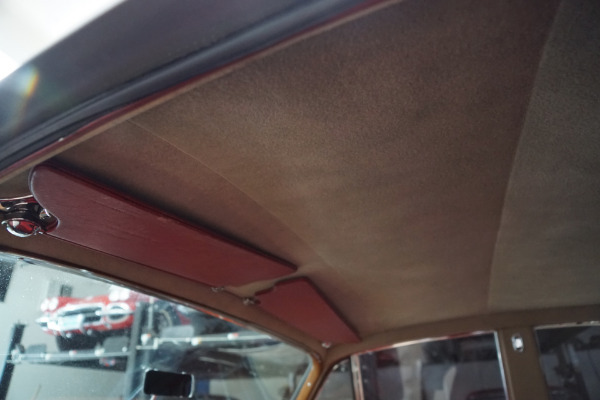 This particular example boasts rare long time ownership with a thick file of full documentation showing that at no time was any expense spared on this particular vehicle's preventive maintenance and a car which has obviously always been garaged originally at the owner's Old Bridge, NJ home, and from the 1970's, his La Jolla, CA home and which is finished in it's very striking original 'Shell Gray over Masons Black' two-tone color combination with its rare all original Connolly leather interior with a superb patina and very little signs of wear. 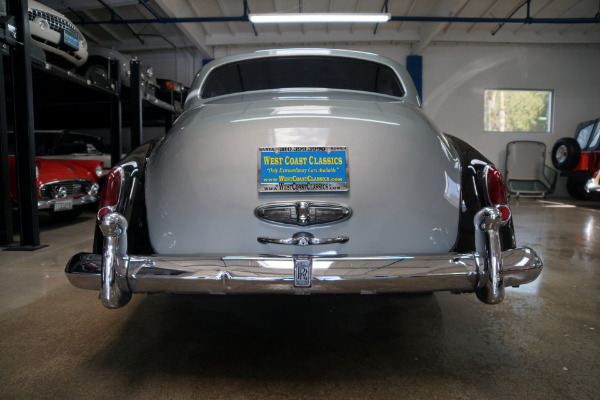 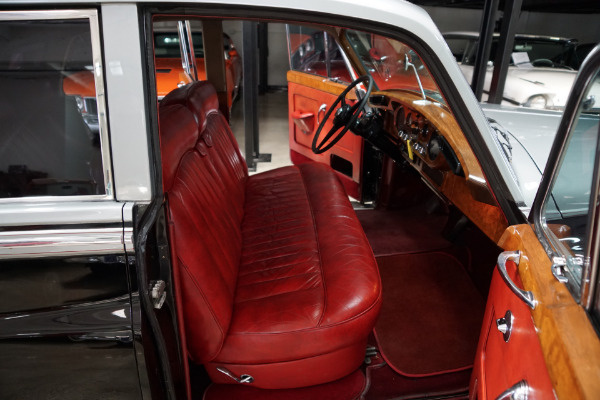 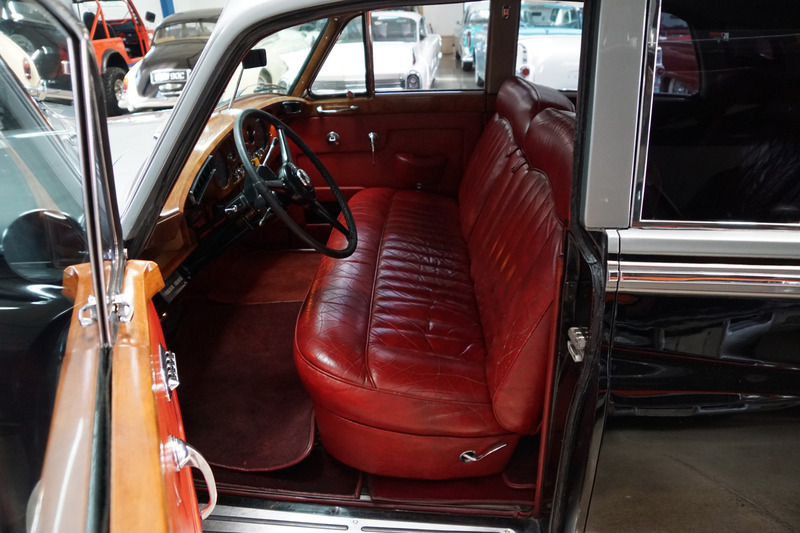 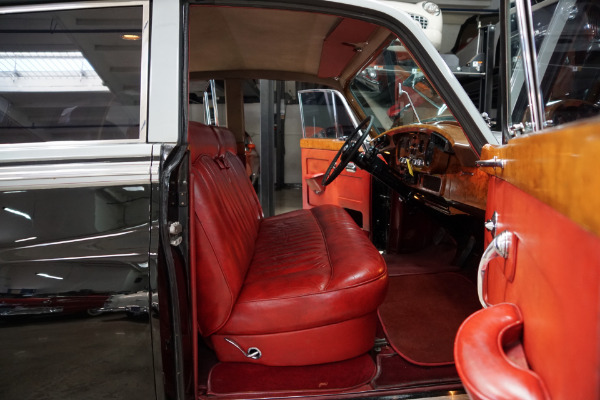 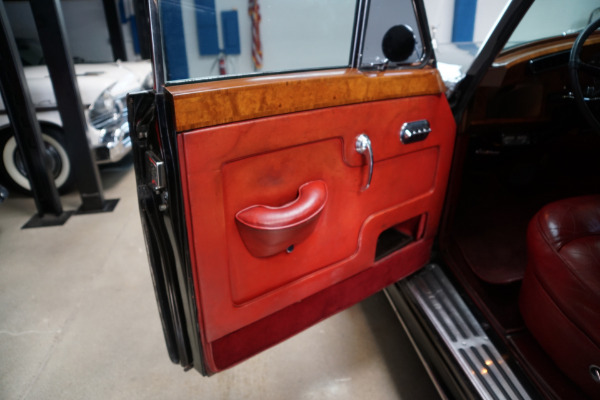 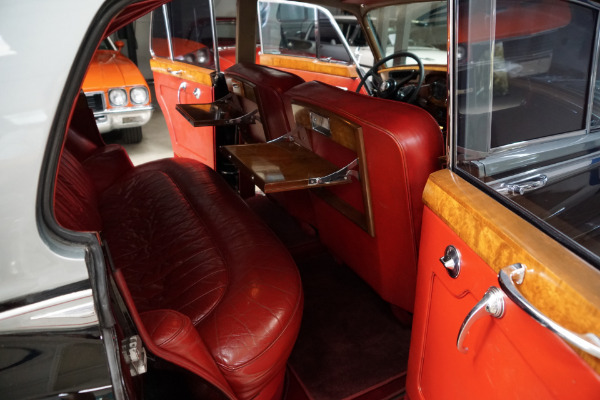 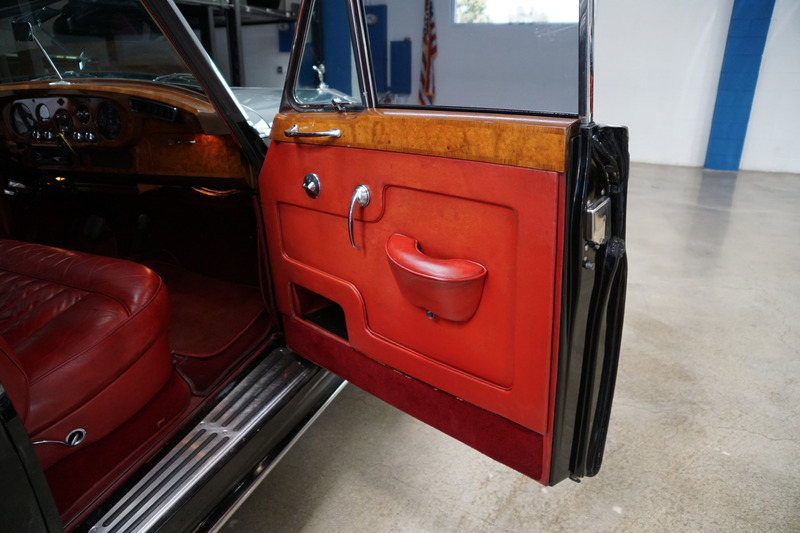 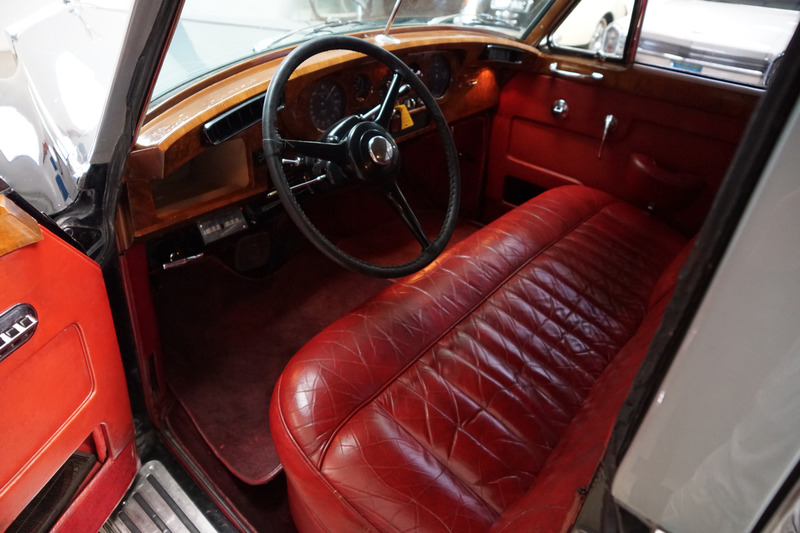 The car boasts its beautiful all original African burled walnut wood and is an obviously always cherished and garaged example with no accidents and a southern California car for many years with the floor boards, trunk and all the typical rust-prone areas all rust free! 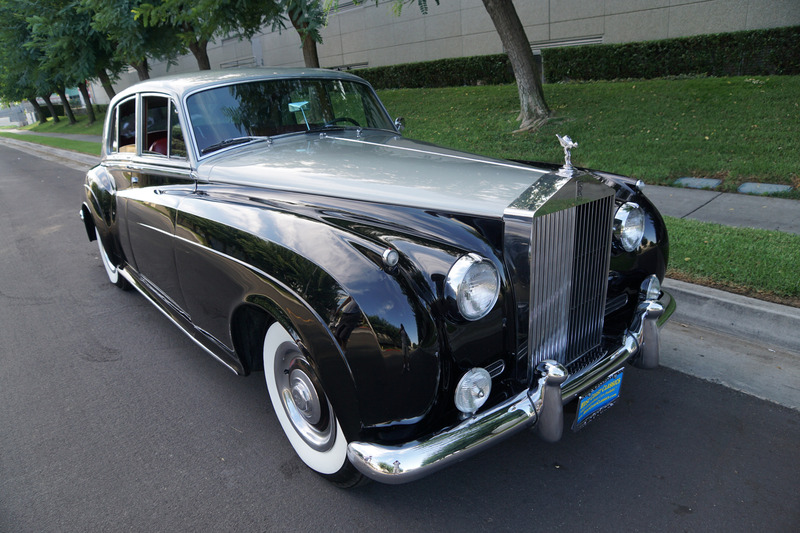 The beautiful and highly desirable color combination of this car's original 'Shell Gray over Masons Black' exterior paint with matching Rolls Royce hubcaps is very striking and the all original full 'Connolly' Red leather interior (Connolly leather being used in Rolls Royce's and Bentley's came from unfenced cows which produced unblemished hides) is in excellent condition throughout with only very minor imperfections only noticeable upon very close inspection; there is some light wear in the leather upholstery which we chose to leave unblemished rather than dye over as we feel it respects the cars age nicely. 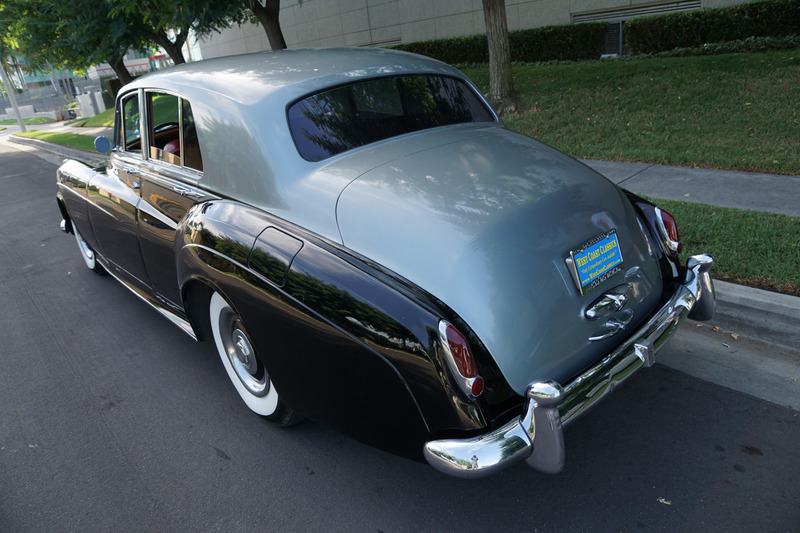 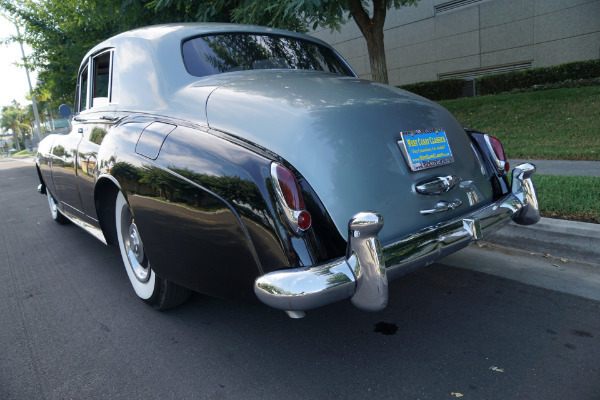 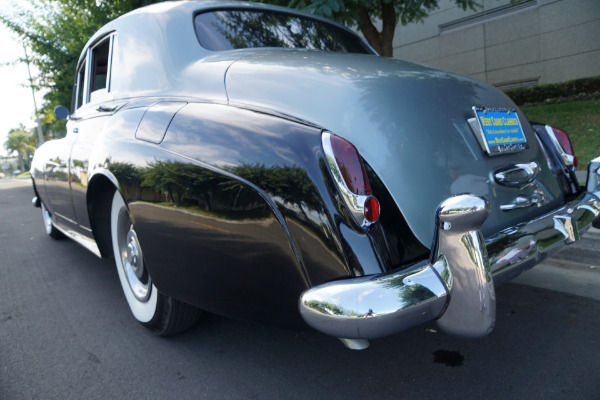 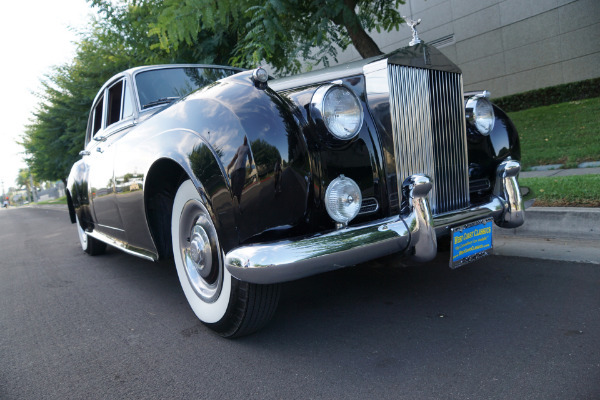 All the chrome work including the front Rolls Royce grille and bumpers is absolutely outstanding with only one very small parking lot dent in the rear bumper. 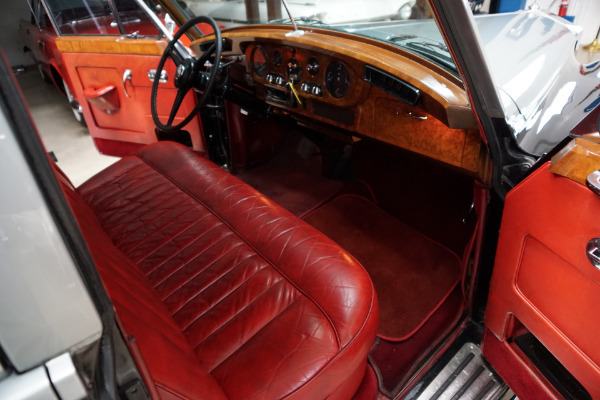 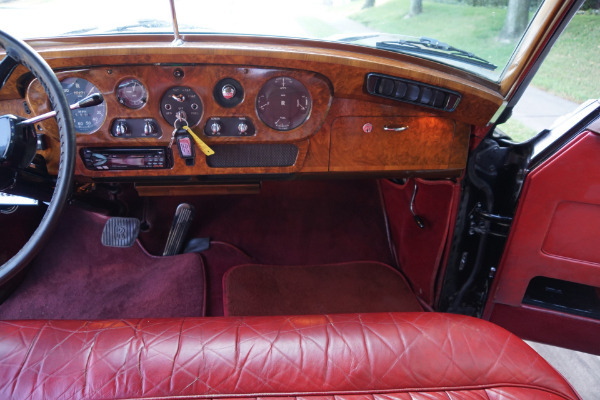 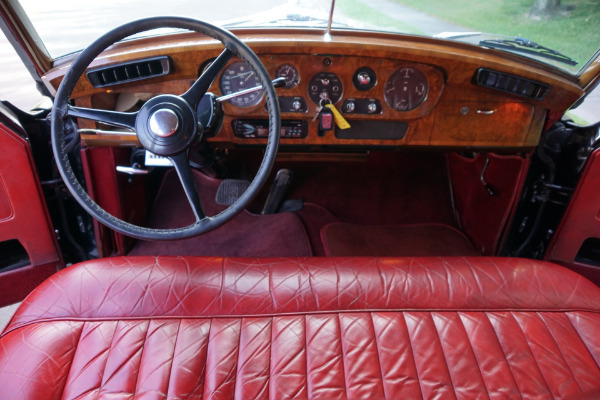 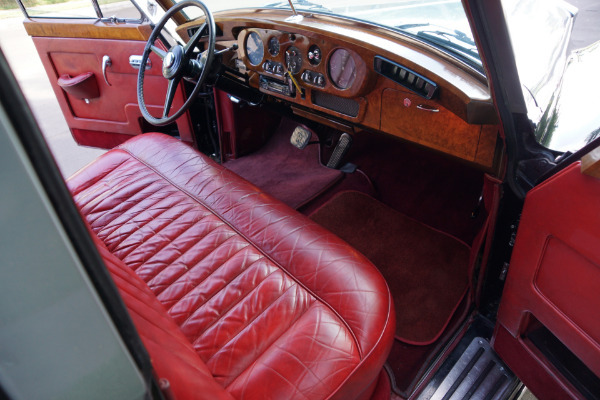 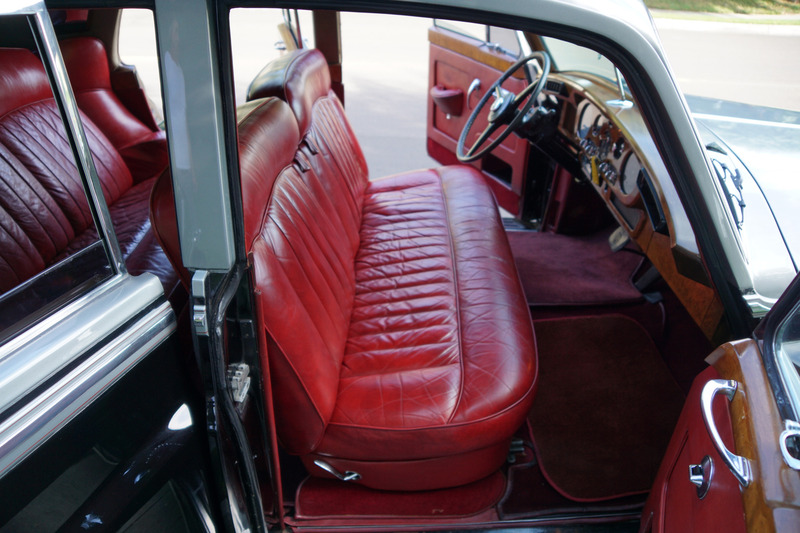 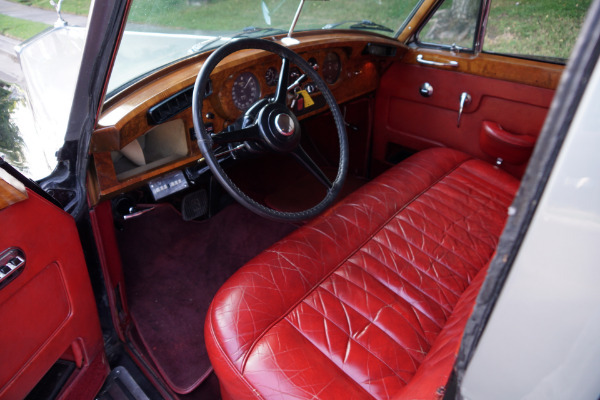 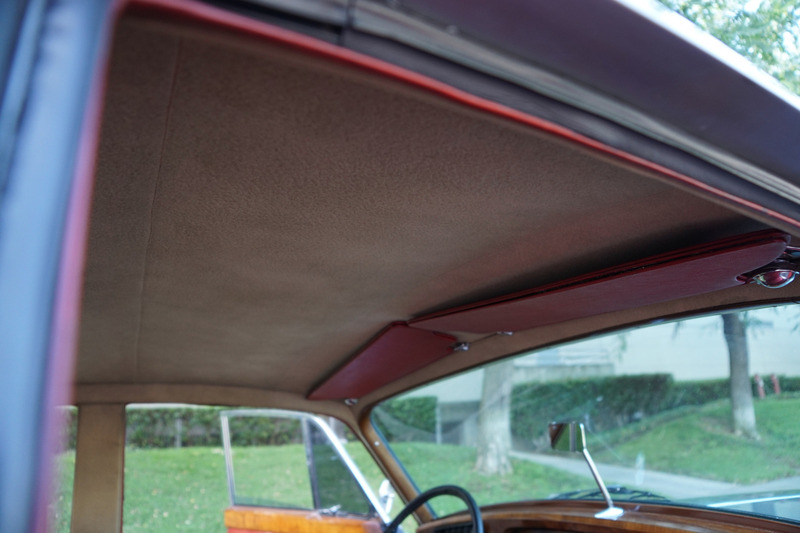 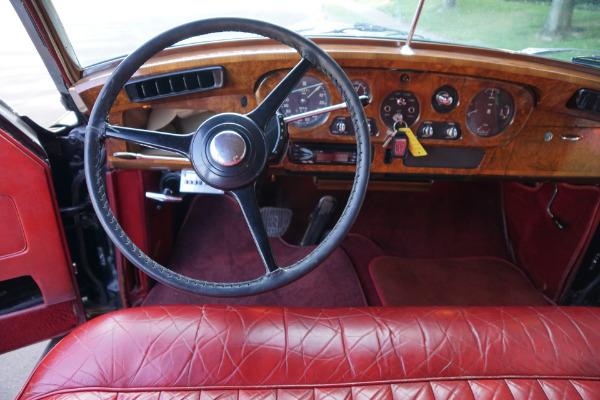 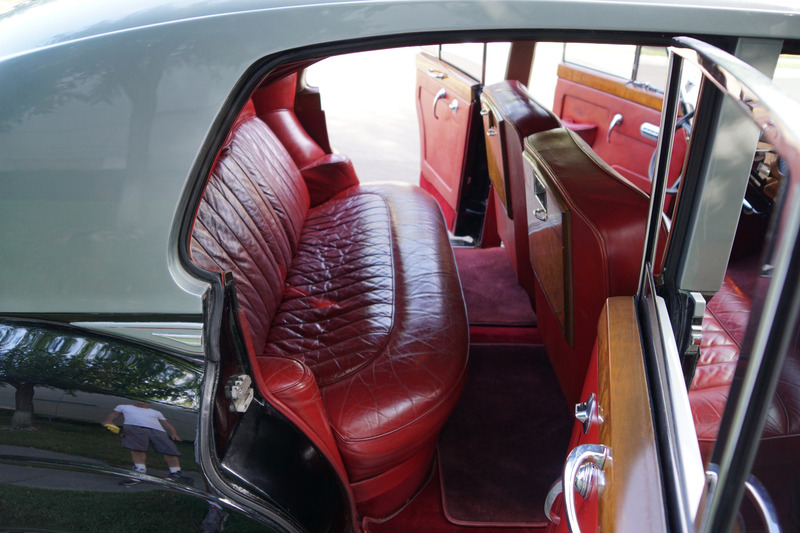 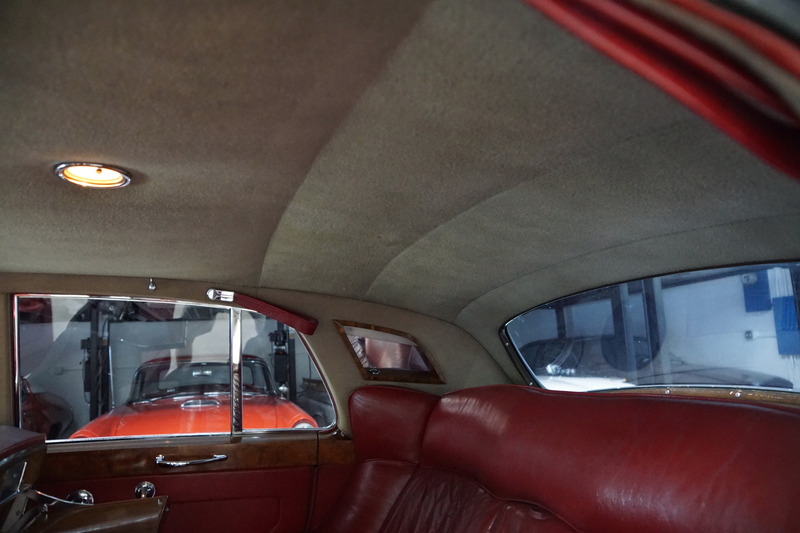 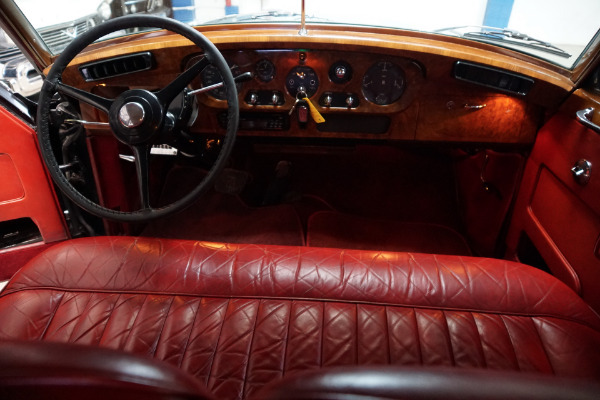 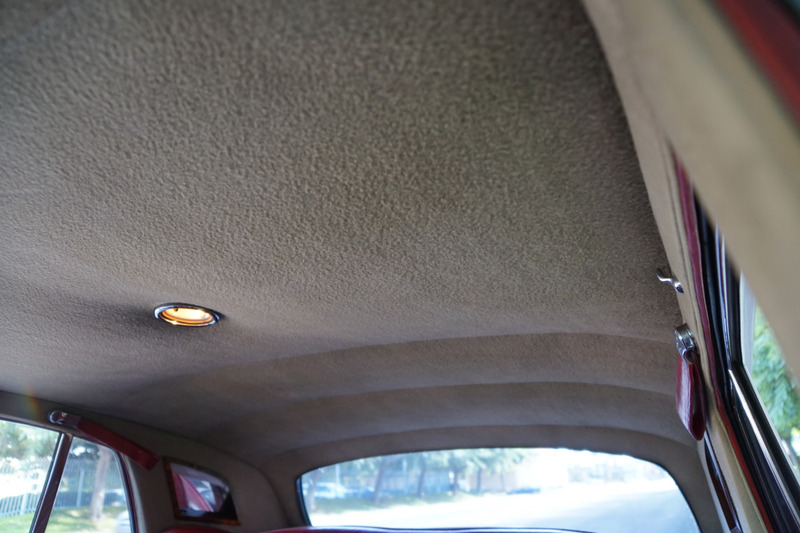 The door panels, dashboard and original mohair headliner remarkably show only very minimal signs of any wear. 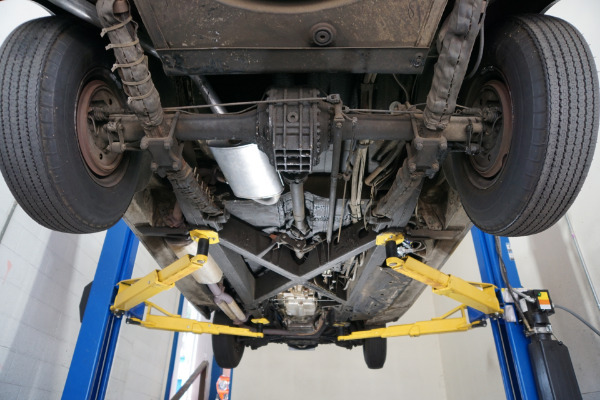 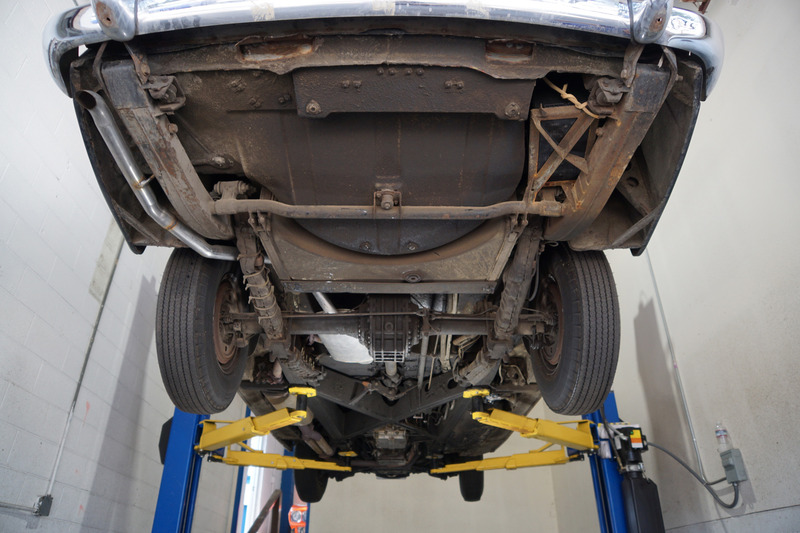 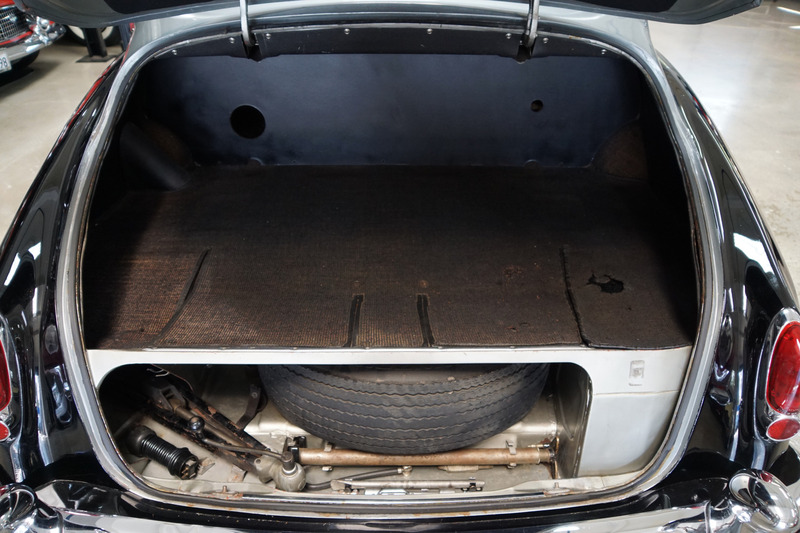 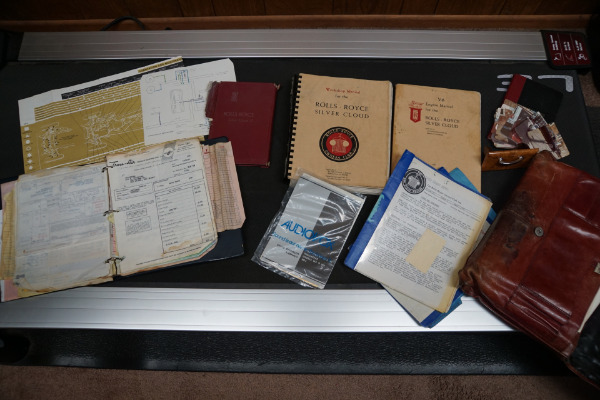 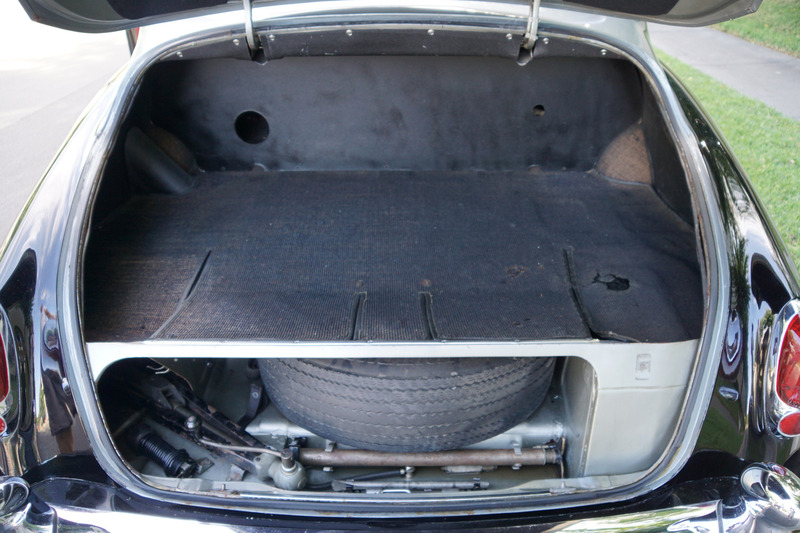 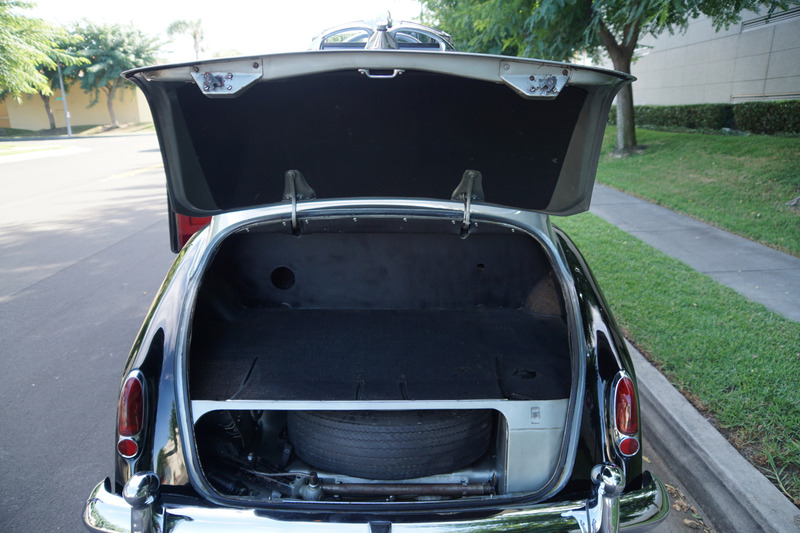 The car has it's original spare wheel with original jack and factory heavy tools equipment still located in their rightful place of storage in the trunk compartment. 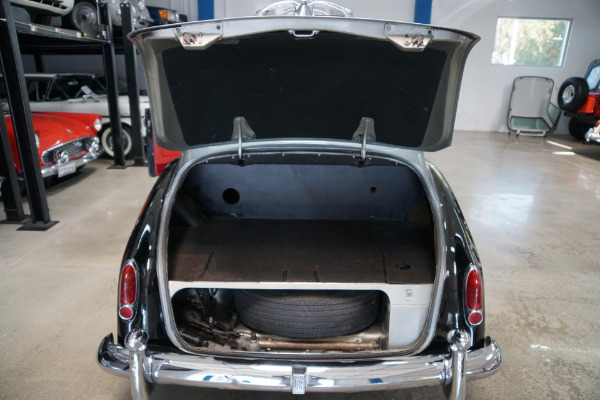 Obviously always garaged with no accidents or damage history and owned by only one obviously very careful and meticulous owner for well over fifty years - never abused! 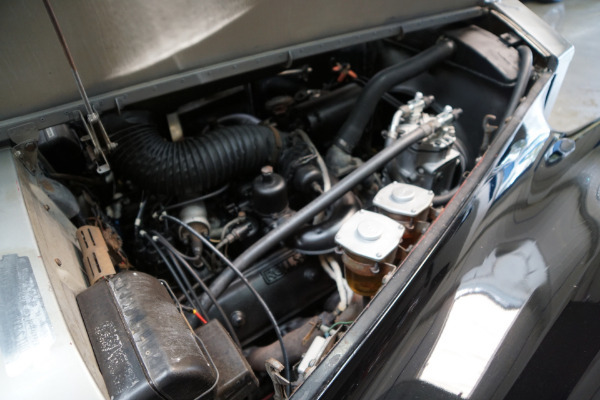 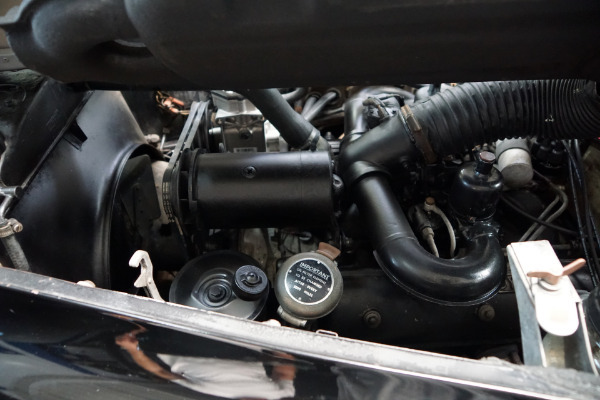 The car drives very well with the original 6.2L V8 engine being extremely strong and with the car drives as straight as an arrow with no strange road wobbles, shakes or rattles and it is a truly remarkable and responsive daily driver! 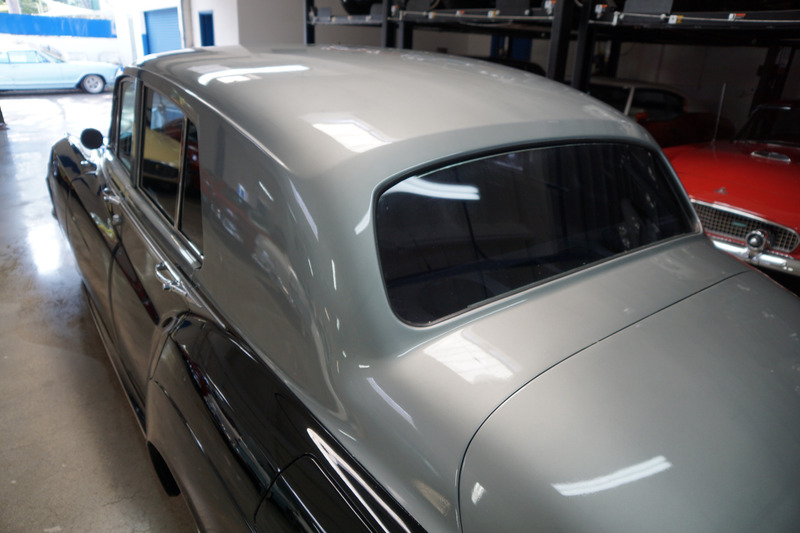 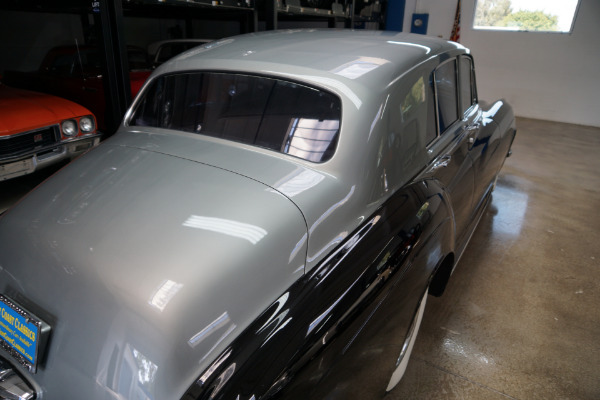 The car has rear mounted air conditioning, power steering, power windows, power brakes, adjustable ride control, Lucas fog lights, electric window defogger, twin picnic tables and a mohair headliner. 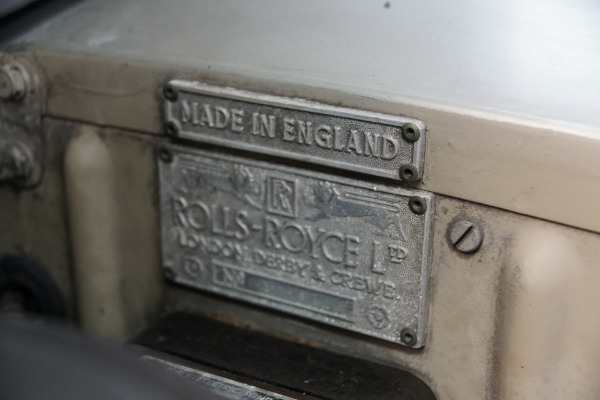 For those who are unfamiliar, Rolls Royce no longer exists as it had for over one hundred years - this is one of the last in the original line of cars built in the legendary Rolls Royce factory in Crewe, England with a quality and craftsmanship that far surpasses that of today's mass produced models with many BMW parts - this is a rare opportunity to own a piece of automobile history, from a time when Rolls Royce was truly building the world's finest motor cars. 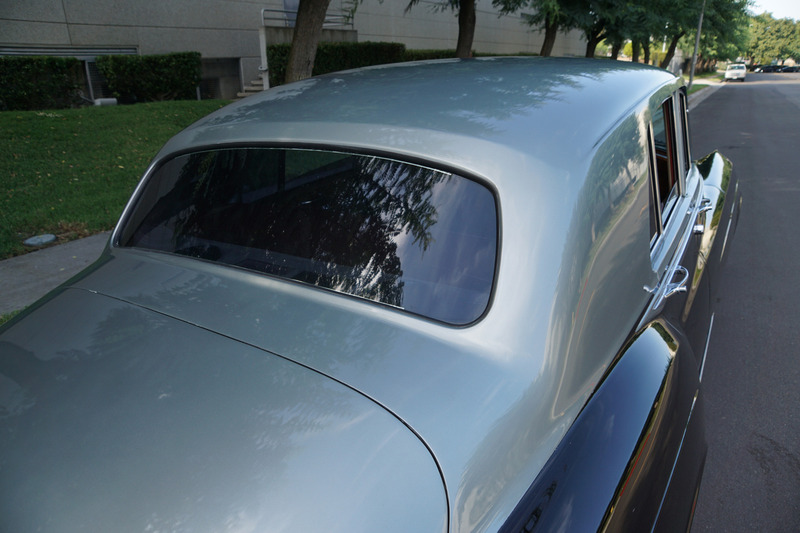 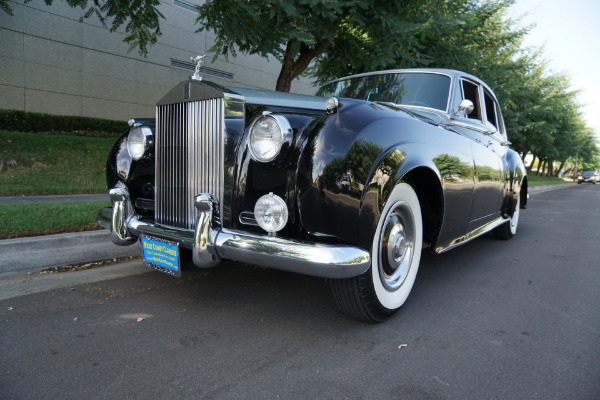 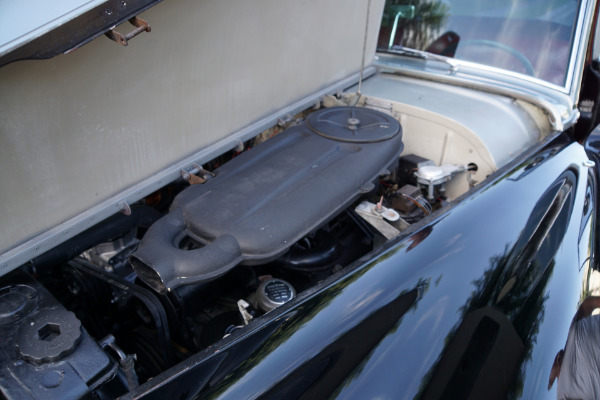 This increasingly desirable and collectible Silver Cloud II, one of the most desired of the Silver Clouds by enthusiasts with the all aluminum 6.2L V8 engine and the single head lights - which of note, Rolls Royce purists were appalled with at the time when the later Silver Cloud III's transformation with the dubious redesigned front-end lower hood and radiator with quad front headlamps mounted in oval nacelles - considered a shocking violation of RR tradition - one magazine went so far as to refer to the quad lights as the equivalent to installing a jukebox in Winchester cathedral! Along with it's tall grill and tall flying lady the Silver Cloud II is an absolute moving work of art from a time when Rolls-Royce and Bentley were arguably building the "Best Cars in the World" at the time of it's production; the craftsmanship and quality of these cars obviously speak for themselves and it is becoming increasingly hard to find any examples at all, let alone any such unabused and rust free examples - with only some 2,417 Silver Cloud II's built and very few remaining or available for sale, especially LHD US built versions, you will surely look long and hard to find another in such fine condition. 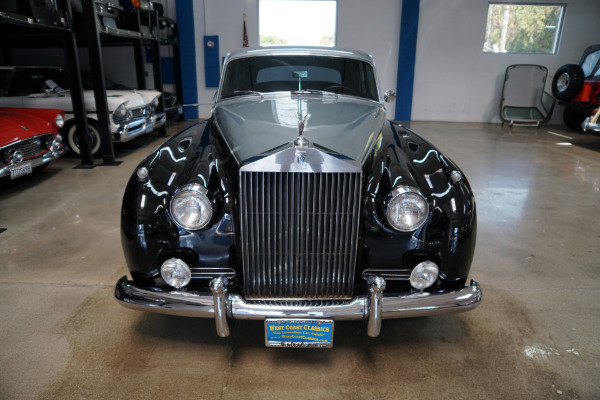 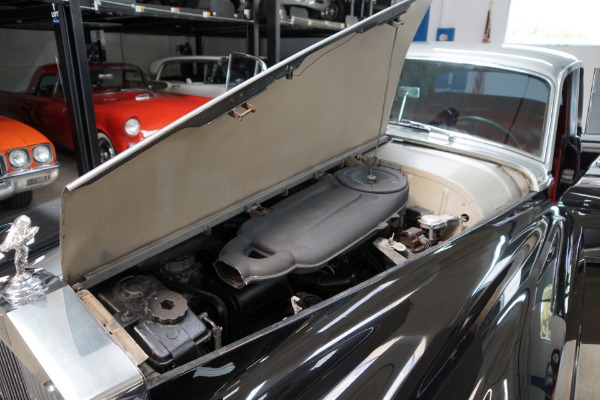 So bid with confidence, with Silver Cloud II drophead coupe convertibles now selling in excess of $1M, this will no doubt prove a fabulous investment for the astute discerning luxury classic car investor, Rolls Royce enthusiast or British Classic Car Collector!